Demo: Blog When the Romanian U17 Female national team called, the Vampires answered! When the Romanian U17 Female national team called, the Vampires answered! 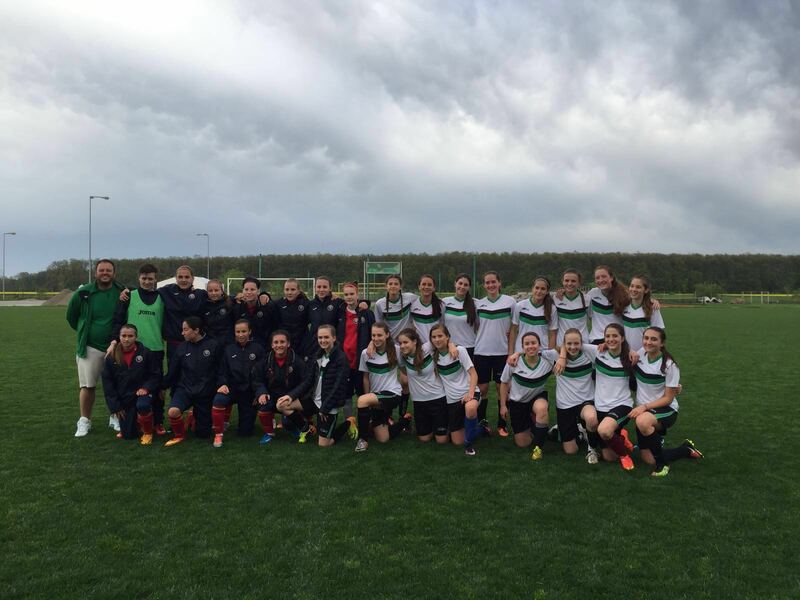 A couple of weeks ago, the high school varsity soccer team traveled out to the FRF base in Mogosoaia to play the under 17 Romanian Female National Team. For us it was an honor to be asked to come back and play against them again so that they could practice for their own tournament. We had already played against the team earlier this year and had lost so we didn’t walk into this game with high hopes of winning. Yet we knew this would be a great practice for our team. Since it was off season, our team was already fearing a loss worse than before, but we were able to get back into a routine and turned out playing better than before. The biggest improvement in this game was that we worked better as a team and attacked more on their goal then the last game which did result in us getting more goals then last time and resulting in the final score 12-2. This may seem to be a disappointment, however, considering they are professional athletes and they train every day we only focused on how our team had improved and learned from them. Overall this was a great experience for next year that helped our team learn to lose graciously and get in practice for our next season. We hope we can play with them more often and continue developing our skills.